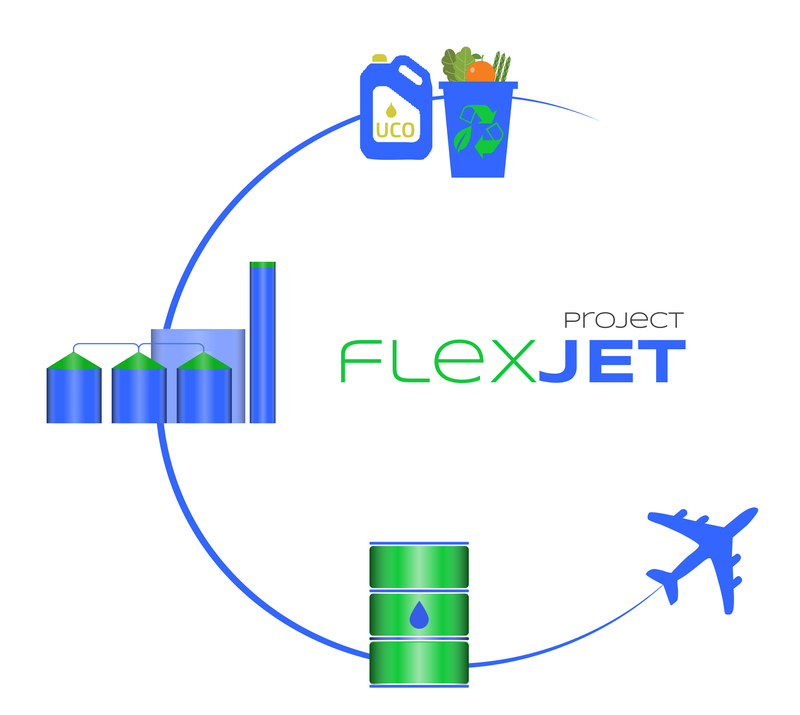 The innovative flexJET project uses a diverse range of organic waste feedstocks for sustainable aviation fuel (SAF) production. The process offers better economics and improved overall sustainability by processing waste feedstocks near the source and at a scale that matches waste availability. This is the first technology ever to use green hydrogen from waste feedstock for refining thereby maximising greenhouse gas savings. This project provides clear technical and economic validation, by building a demonstration plant at pre-commercial scale to deliver high quality SAF. The flexJET project delivers a blueprint for the production and distribution of this novel SAF technology. This will be a showcase which facilitates towards the delivery of medium to long-term carbon reduction targets which have been set for the aviation industry in Europe and beyond. flexJET’s innovative process combines Sustainable Aviation through Biofuel Refining (SABR) technology for the refining of biodiesel from organic waste fats with the Thermo-Catalytic Reforming (TCR®) technology for the production of biocrude oil from organic solid waste. The hydrogen for refining will be separated from syngas using a decentralised technology. As a first step, non-food competing waste vegetable oils (cooking oils) will be transformed into SAF in line with existing standards (HEFA route – ASTM D7566, Annex 2). Using hydrogen from residual biomass conversion and renewable process energy enables a significant reduction in the remaining CO2 footprint of regular HEFA SAF. In the second step, SAF output will be increased by producing SAF through co-refining of organic waste fats with biocrude oil from food and market waste: the resulting novel SAF will be targeted for the ASTM approvals process. 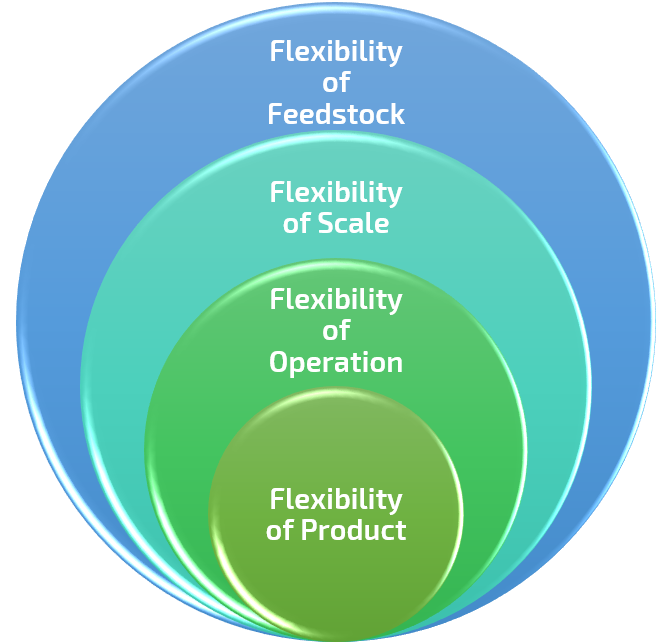 This process will use waste vegetable oil and organic wastes (pre-conditioned food waste) as the feedstock, and presents many advantages in terms of flexibility of scale and delocalisation at regional and local level, flexibility of feedstock, quality and reproducibility of products independent of feedstock. The process is also well suited to poor quality waste organic feedstocks (sewage sludge, paper industry residues, the organic fraction of municipal solid waste, anaerobic digestate and others) which are high in moisture and ash contents.